Shopping Tips For Your 2016 Formal (a.k.a. Prom) Dress! With formals (a.k.a. prom) just around the corner, the hunt for the perfect prom dress has officially begun! While it may be exciting for some, others may find it quite stressful - and especially so if you're trying to purchase something off the shelf, or you're looking for something stunning and modest all at the same time. Our advice? Start your shopping early. While formals may not be until later in the year, getting your dress way ahead of time has its benefits. If you're gunning for an off the shelf, ready to wear dress, chances are the sizing may not be exactly desirable. Most of the time, you may be in between sizes. What we tell our customers is that if you're in between sizes, always go one size up, and then have the dress altered to fit your measurements. We are after all unique individuals - in terms of size, proportions, height, and etc. so naturally having something altered to fit our own measurements will produce the best results at the end of the day. Always remember, go one size up and not down. It's easier to have a dress taken in than to try to lose that last inch. The other great thing about shopping early, is that you reduce the chances of disappointment. Some retailers may not stock a lot of a particular design, and if that happens to be a popular pick, the dress may sell out quicker than expected. Of course, there is the option of restocking the dress, but you'll have to bear in mind that the availability date may not be a guarantee. Another handy tip for off the shelf dresses, is to pay attention to the closure. Although dresses are commonly found with back zippers, these days, formal dresses are now fitted with both zippers and lace up closures. If you're in two minds about zippers or lace up backs, you might want to choose the latter. Simple reason being lace up backs are usually more forgiving, in that you can tighten or loosen the ribbon for a snug but comfortable fit. 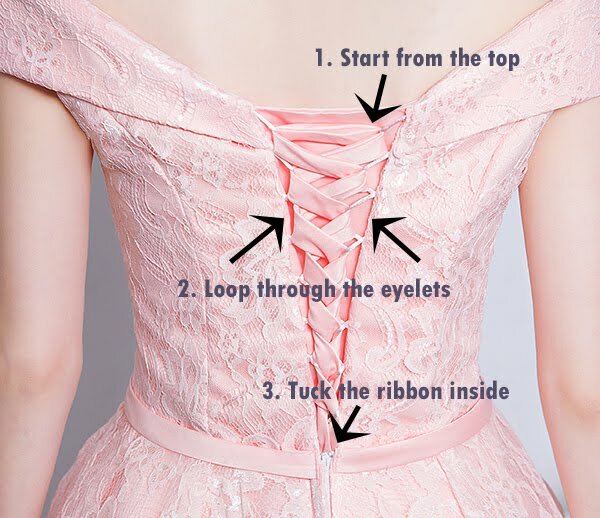 Starting from the top, string the ribbon through the eyelets in a crisscross fashion (pulling tight each time) until you reach the bottom and then fasten and tuck the ribbon away neatly on the inside. It's really like how you would pull and tie your shoelaces. If you're considering going the made to measure route, remember that most retailers will require at least 3-4 weeks of tailoring time. At Dressific, our made to measure services usually require 15 days or less, and is provided for free to all our customers. 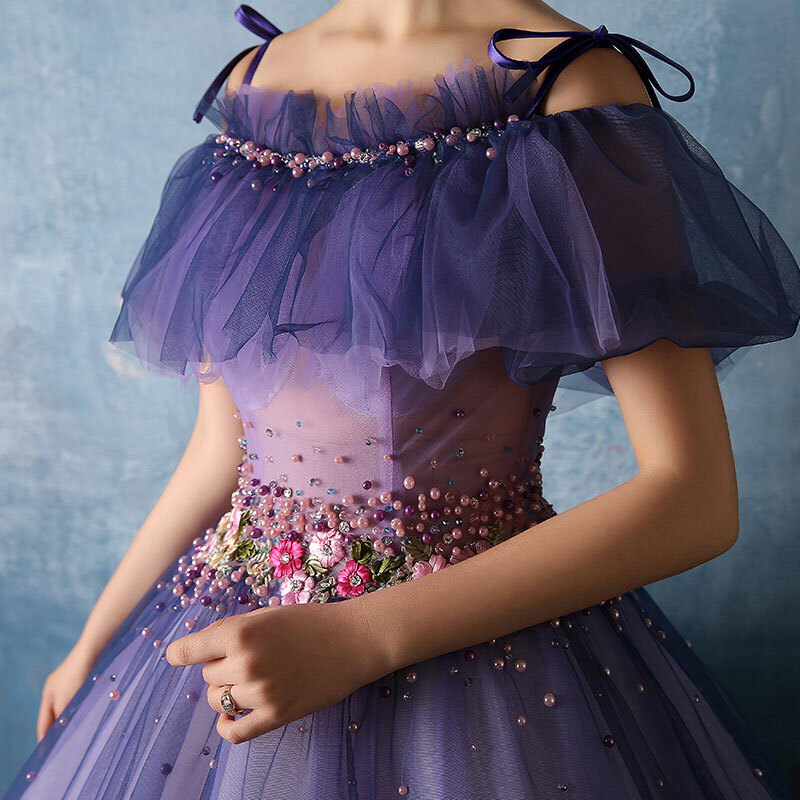 Keep in mind that ball gowns (especially those with boning or corsets) and dresses with highly intricate embellishments (e.g. hand sewn beads, floral appliques, etc.) will definitely require more time to tailor compared to a minimalist dress. You will also need to factor in delivery time, and take into account (especially for international shipments) that there may be delays especially during peak periods. For made to measure services, always be prepared to provide more measurements to your retailer or tailor. Depending on the dress cut and design, you may be required to supply additional measurements to ensure a better fit for you. Most of the time, your bust and waist measurements is a must. 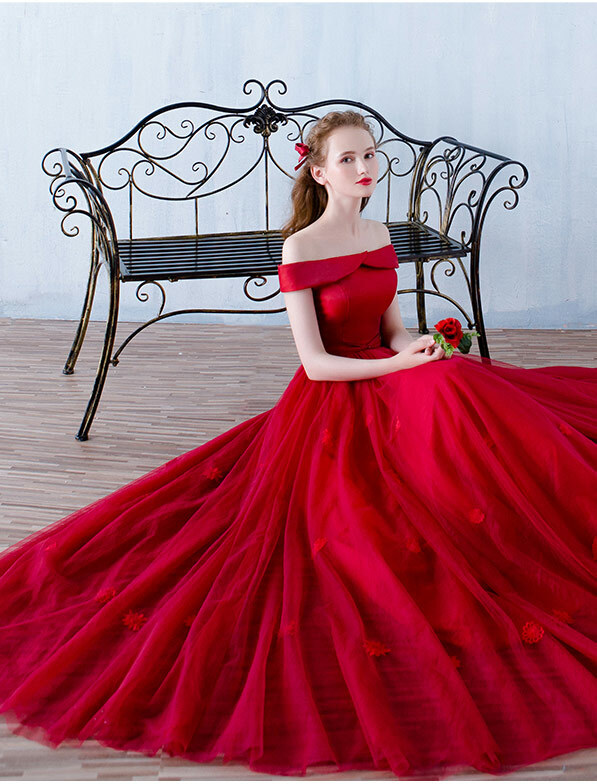 Your hip measurement will be optional for ball gowns due to the full flare skirt, but will be required for figure hugging mermaid or trumpet gowns. 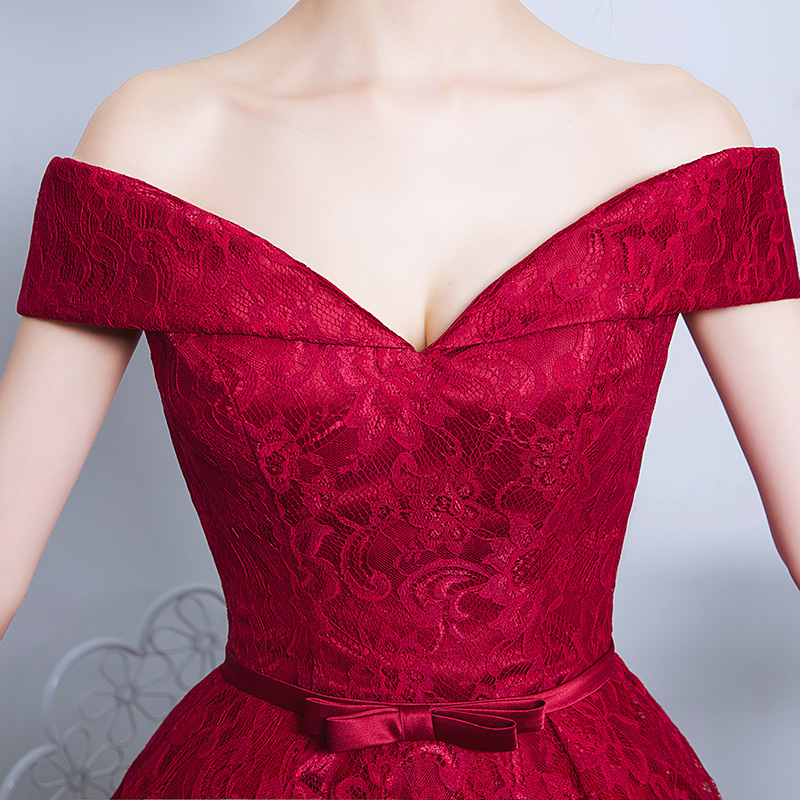 For off shoulder dresses, you will also want to provide your shoulder to shoulder (shoulder width) measurements. Your retailer or tailor should be able to tell you which measurements are required, so be sure to have those handy. Now that you're armed with some shopping tips, how about taking some time to browse our prom dresses and see if there are any designs that tickle your fancy? Happy shopping! Made to Measure Dresses - Do They Work?